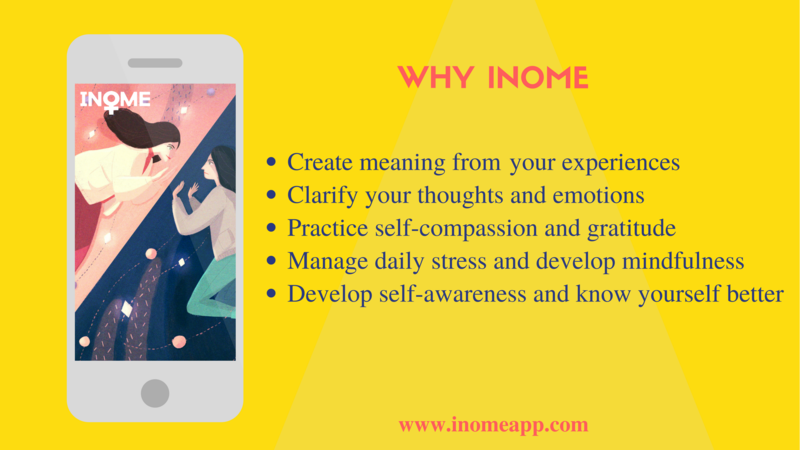 Why should I use the Inome app? The foundation of the Inome App is reflection on a regular basis. Reflection clears your mind, clarifies your thoughts and emotions, reduces stress, increases mindfulness, and develops self-awareness. Your core values are the top needs that drive you the most in your life. 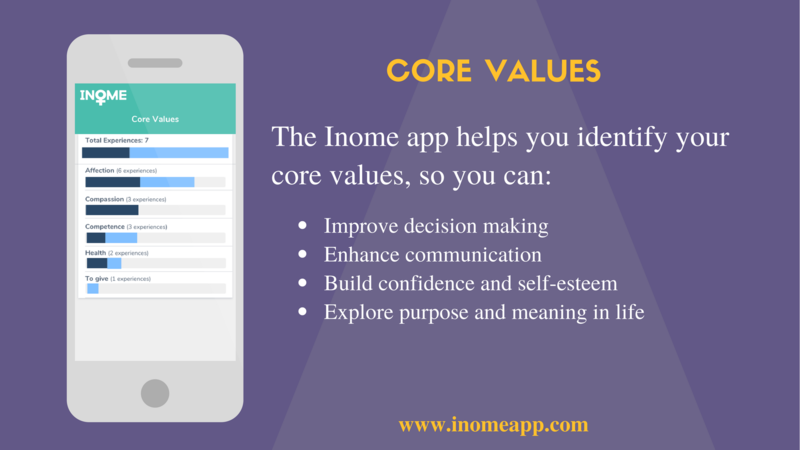 The Inome app can help you identify your core values. 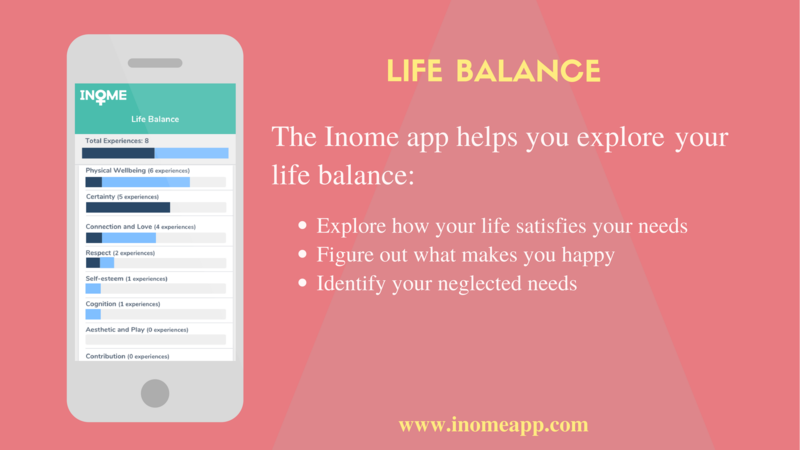 How is your life balanced? If we satisfy our most common needs, or core values, we generally have a satisfying life. However, our core values can make us lose a sense of balance with our other needs. We need to occasionally step back and consider how our life satisfies our needs as a whole. What is your purpose and calling in life? 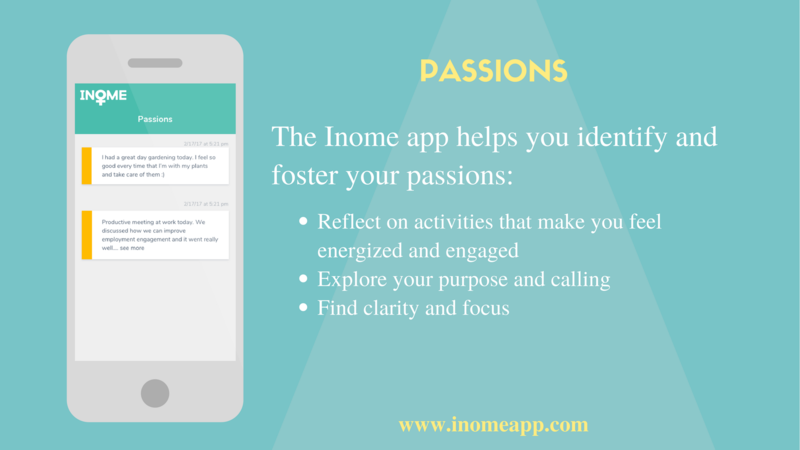 Finding your “Purpose” or “Calling” starts with identifying your passions. Many people worry that they need to find their one true passion that will define their life path. However, passion is simply a series of activities that make you feel energized and engaged. A healthy and strong relationship is dependent on being able to communicate our feelings and needs with our partner. 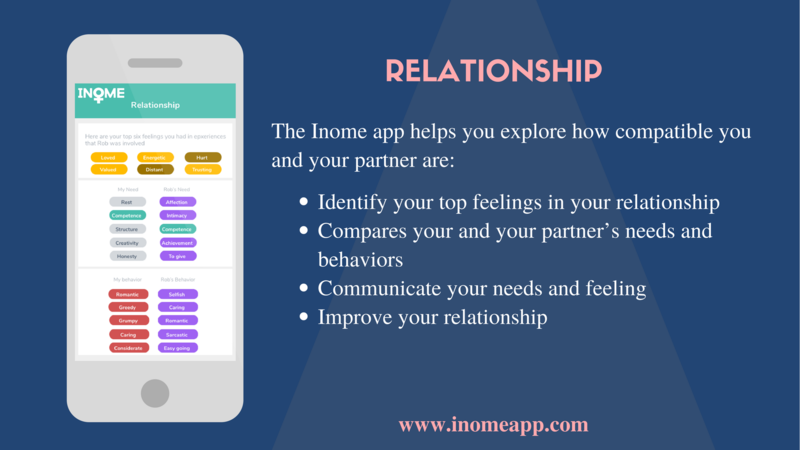 If you and your partner have different needs and behaviors, it could be a source of conflict. 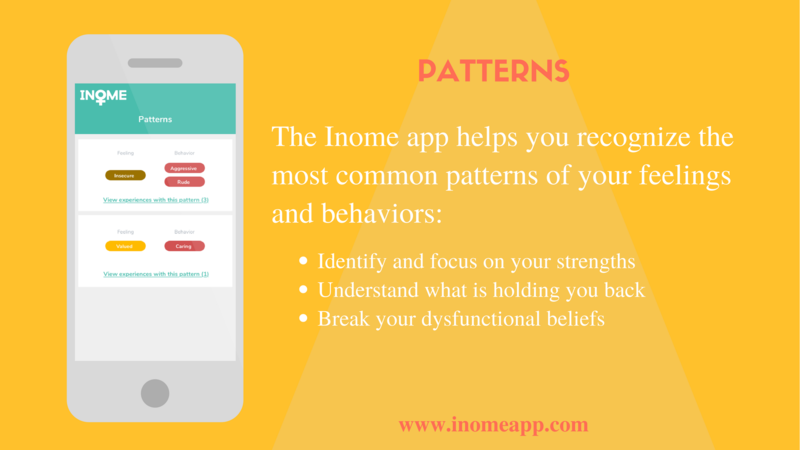 Identify your similarities and differences and build a stronger relationship.